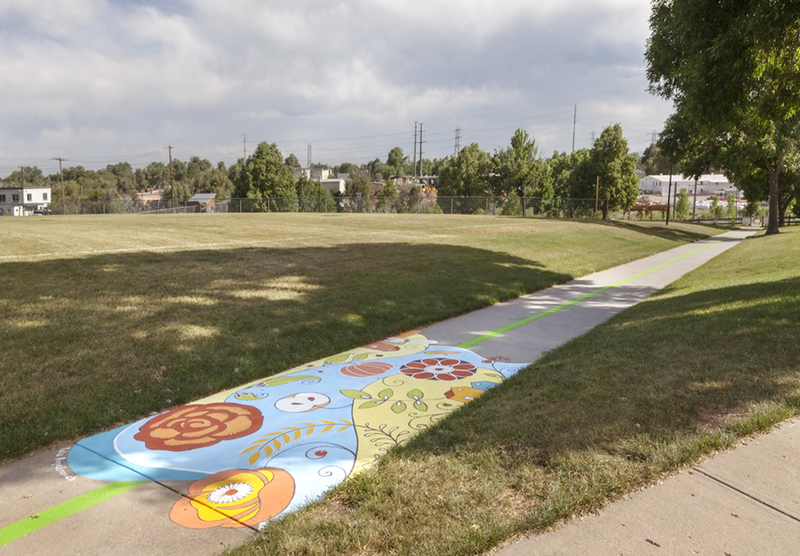 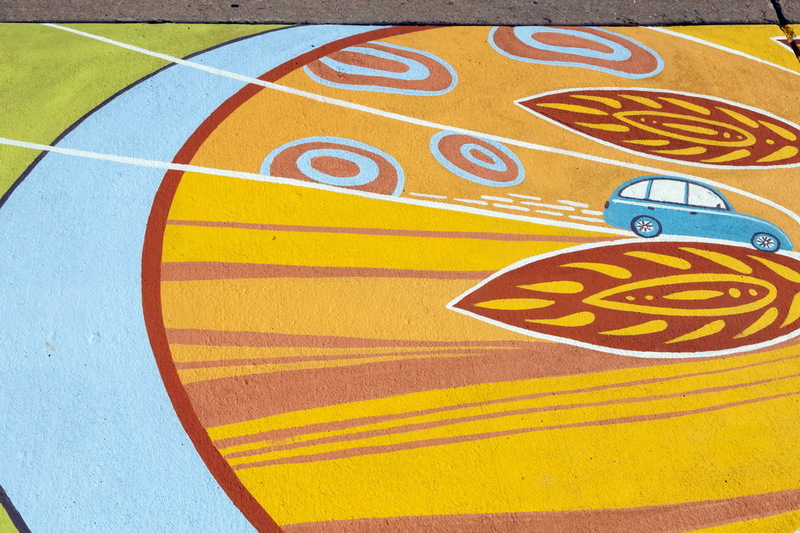 Ground mural project for the 40 West ArtLine in Lakewood, CO. 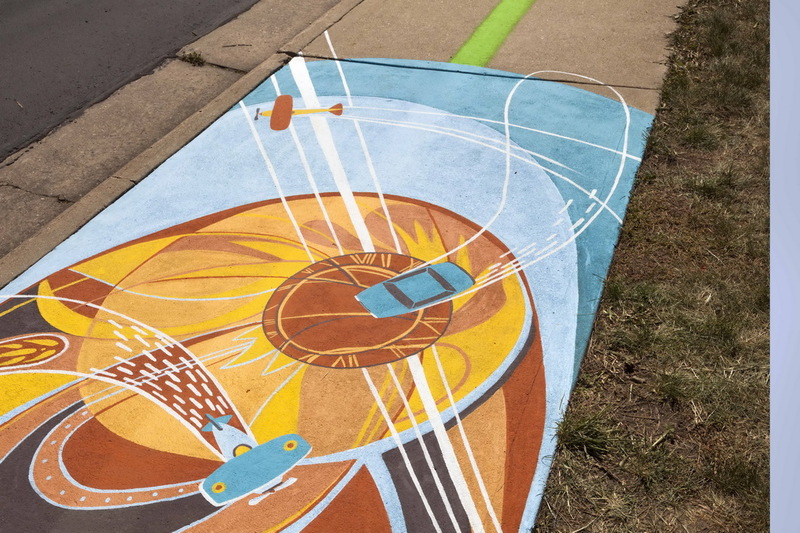 In June 2018 I created two ground murals for the launch of the 40 West ArtLine. 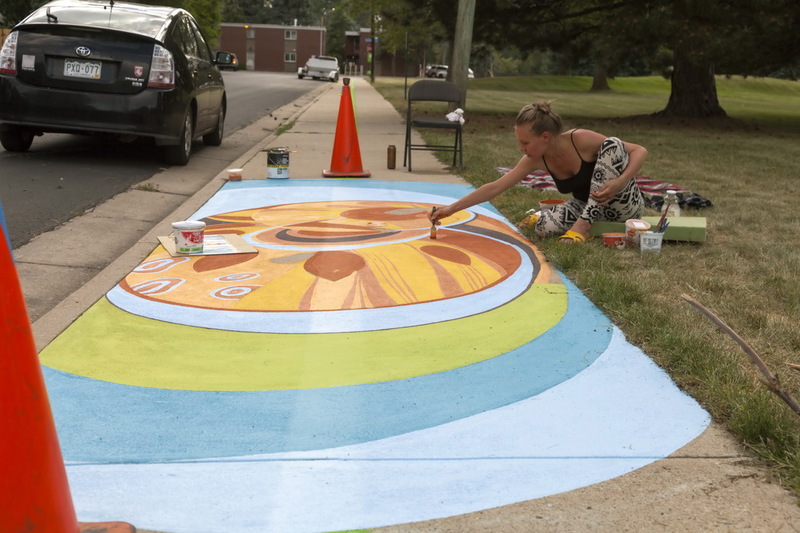 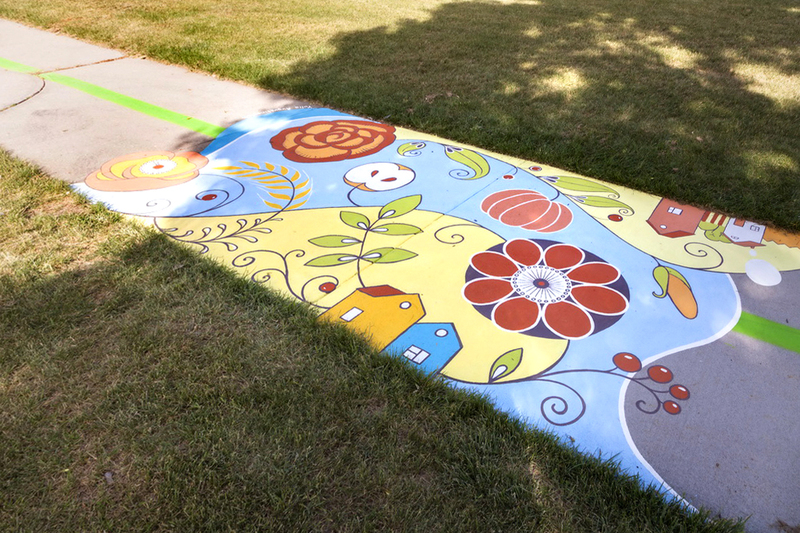 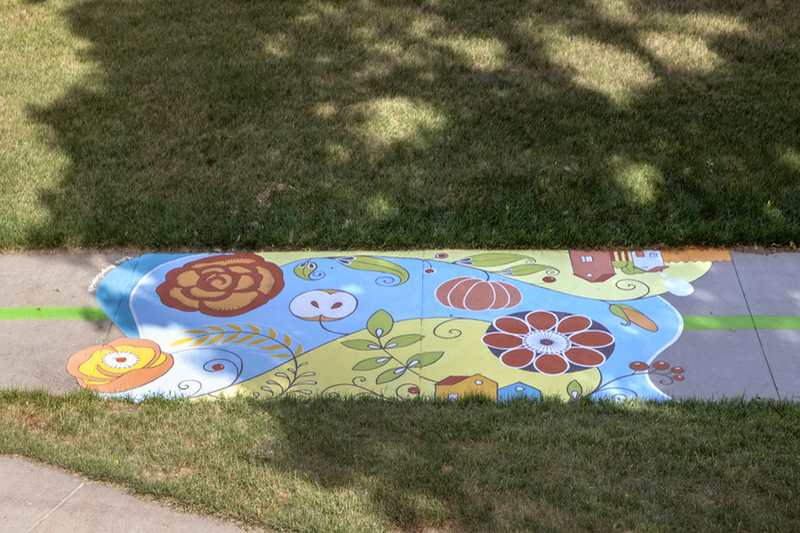 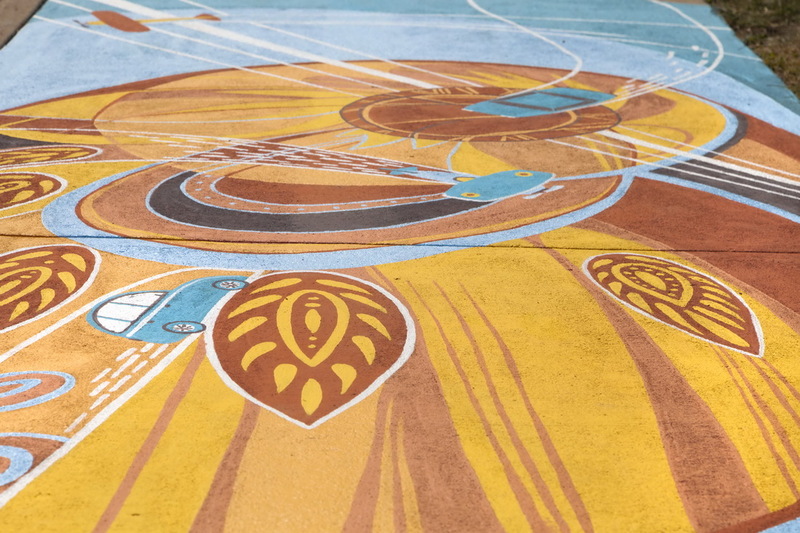 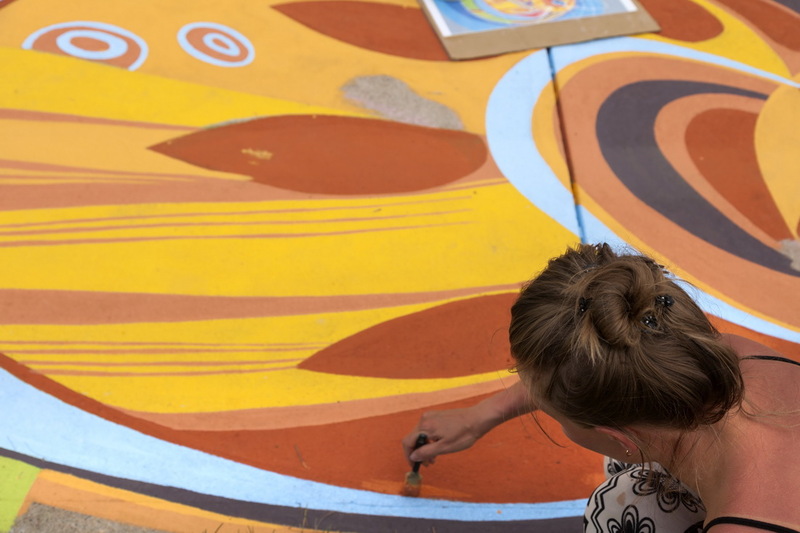 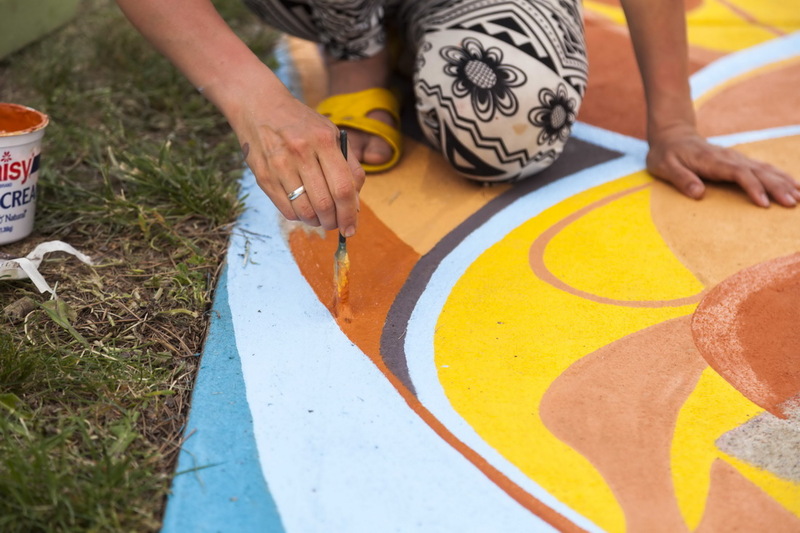 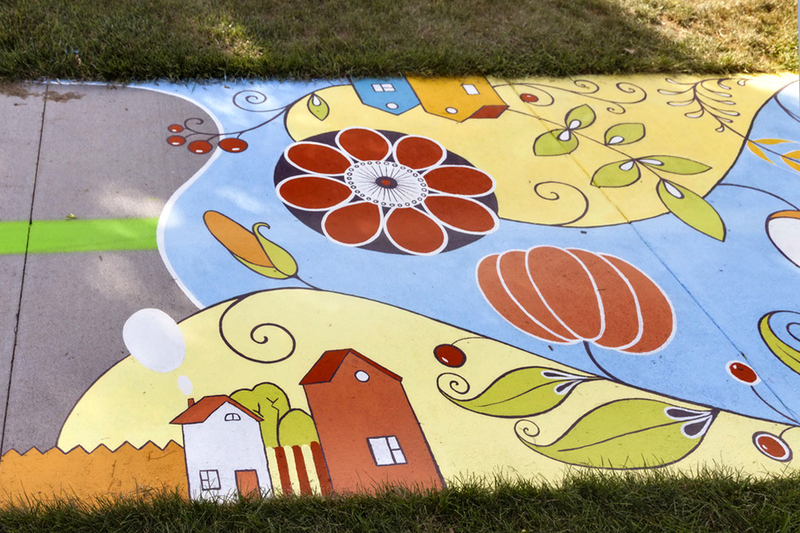 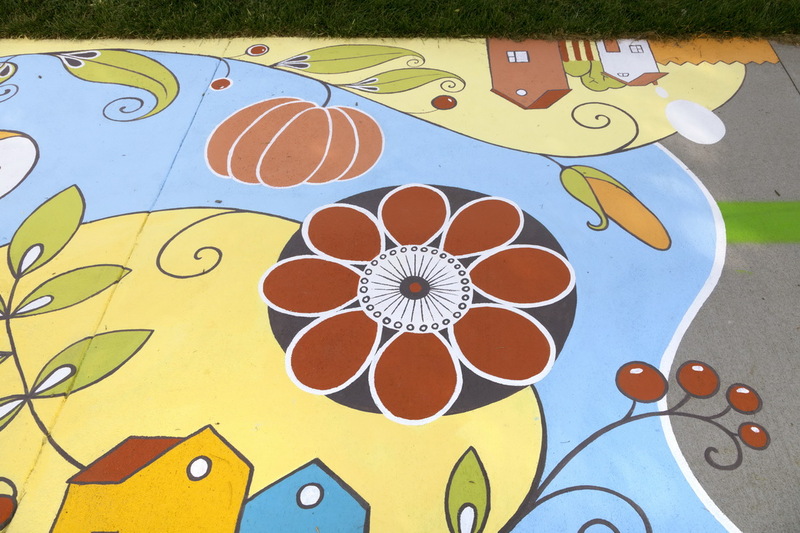 A mural “Blooming city” was painted on the sidewalk in Mountair Park. 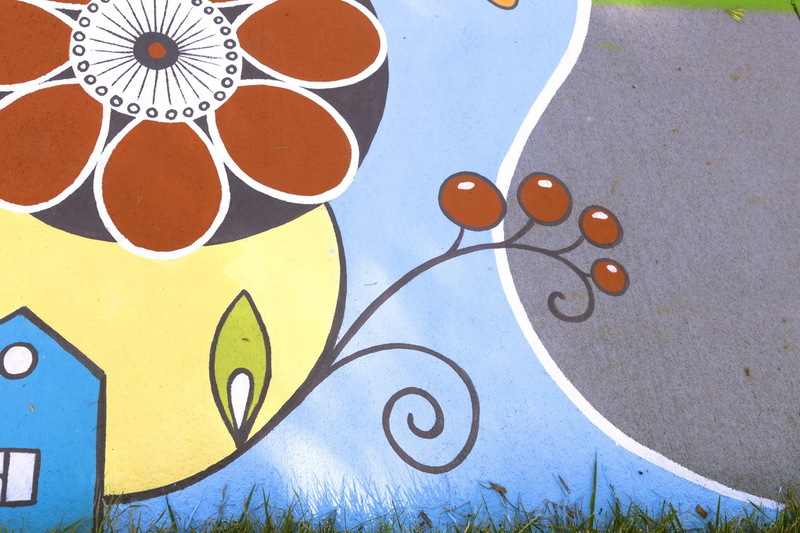 Flowers, fruits and elements of farming represent a strong urban farming community that has a garden in Mountair Park. 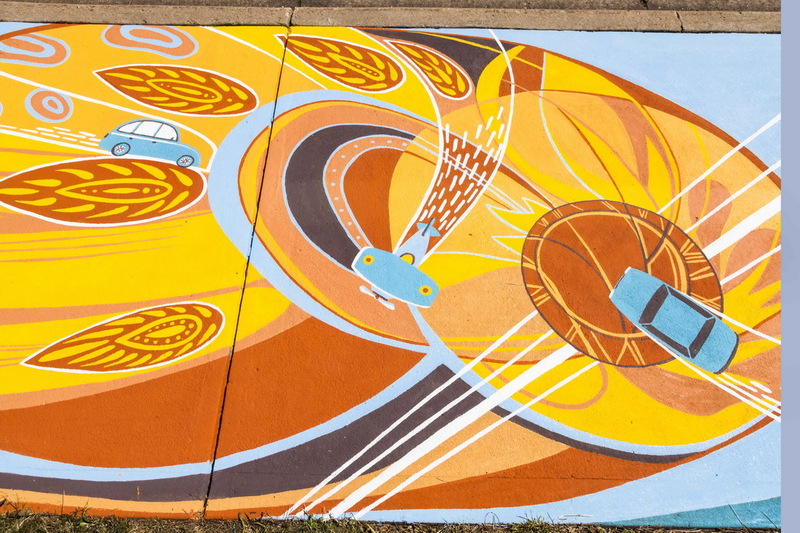 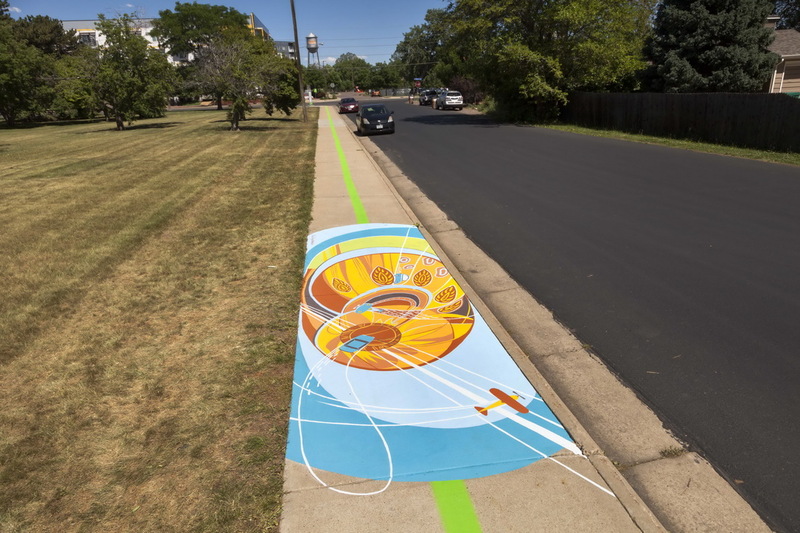 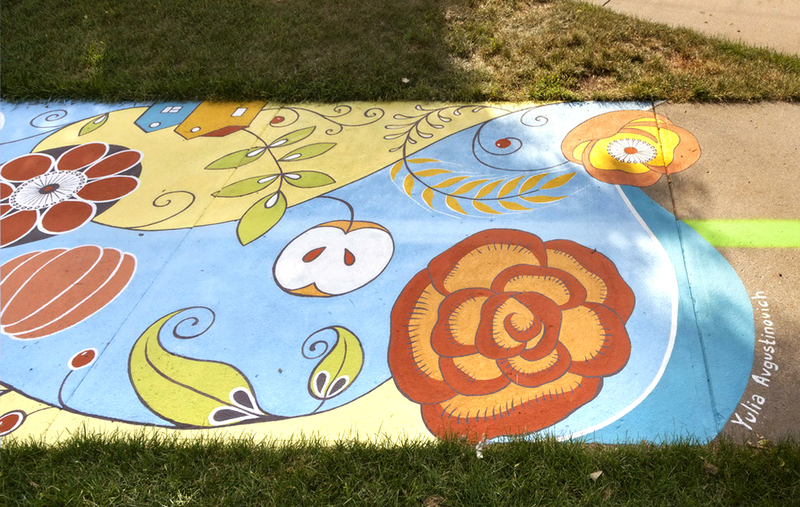 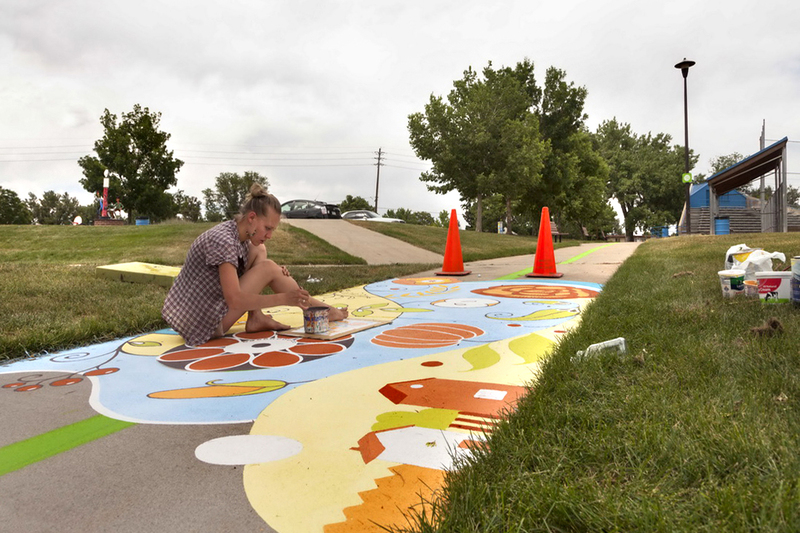 The second mural “Movement” was painted on the sidewalk of 17th Street, between Pierce and Reed streets in Lakewood, CO. 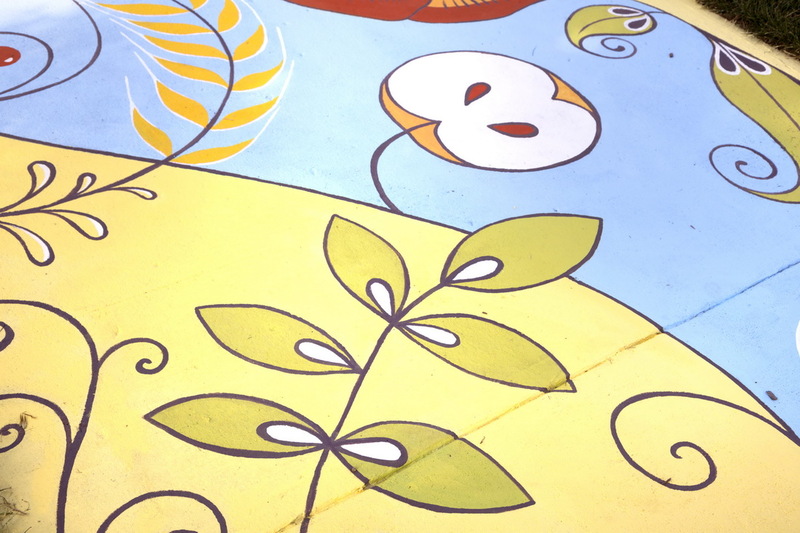 Both murals are painted using a strong wear resistant paint that should last for a few seasons.